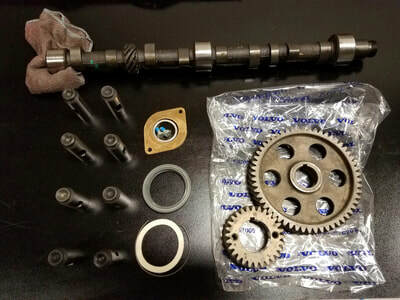 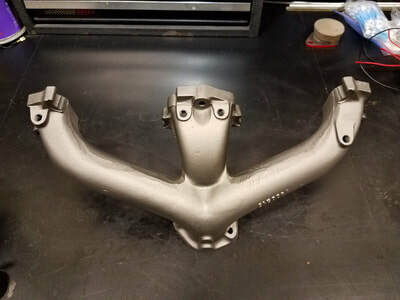 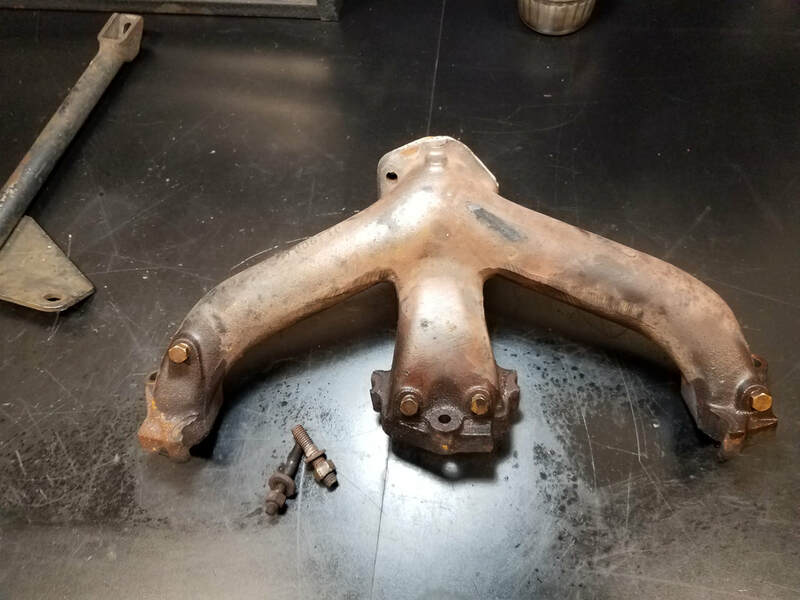 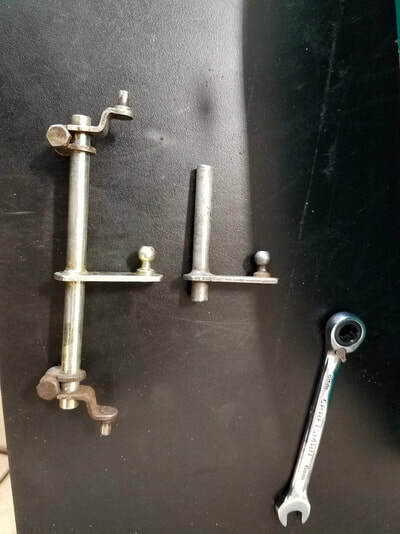 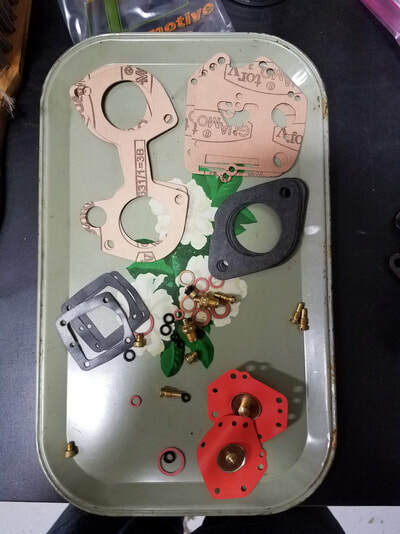 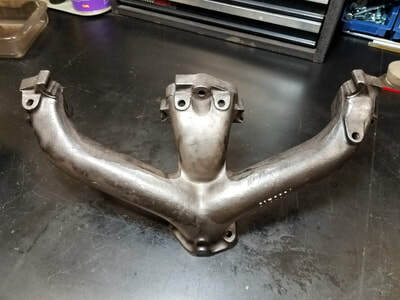 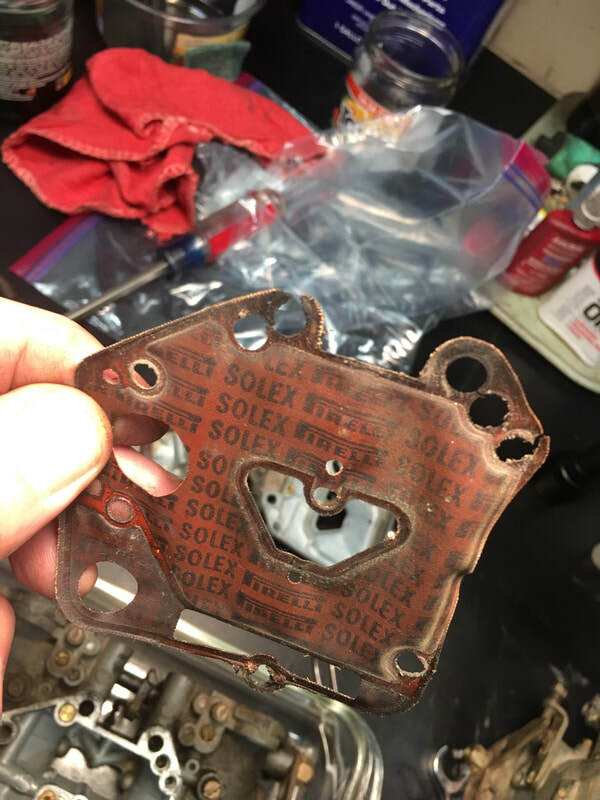 Once a standard issue 142, this sample has been fitted with a variety of GT components as offered by Volvo Competition Service. 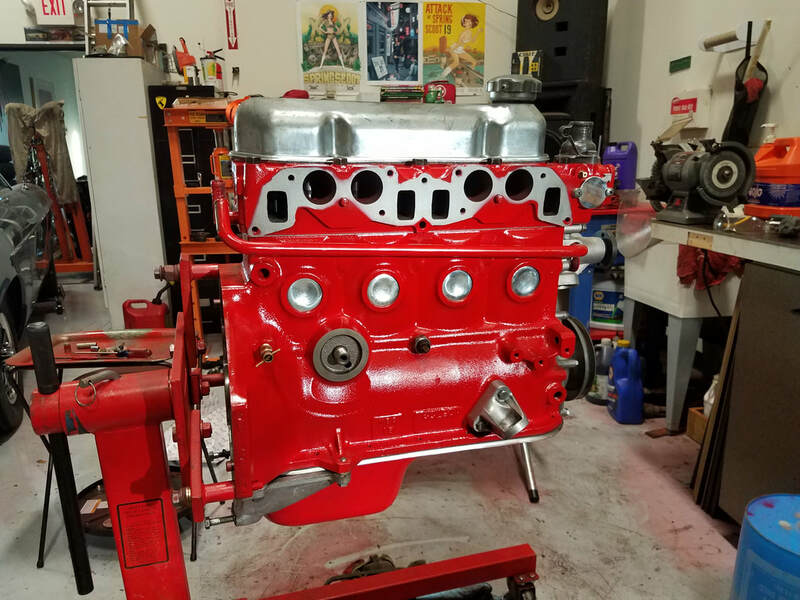 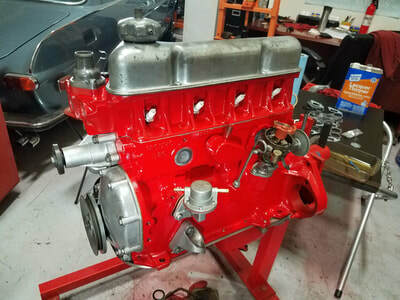 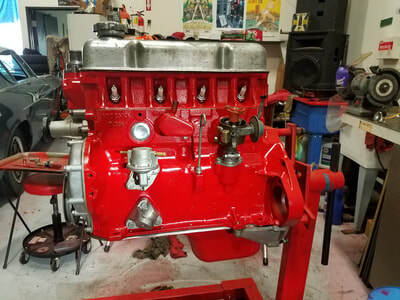 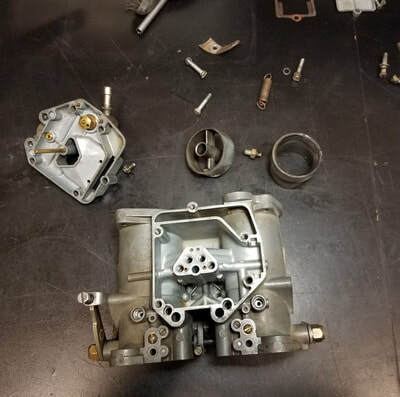 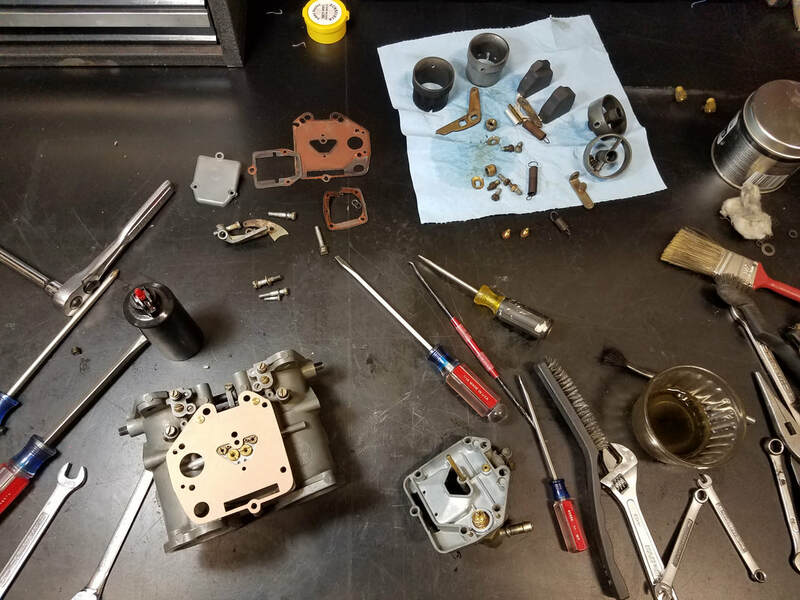 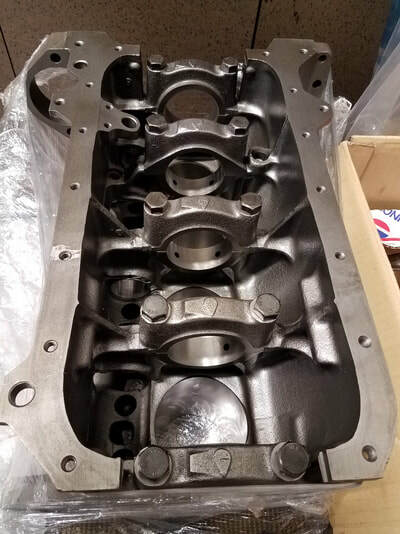 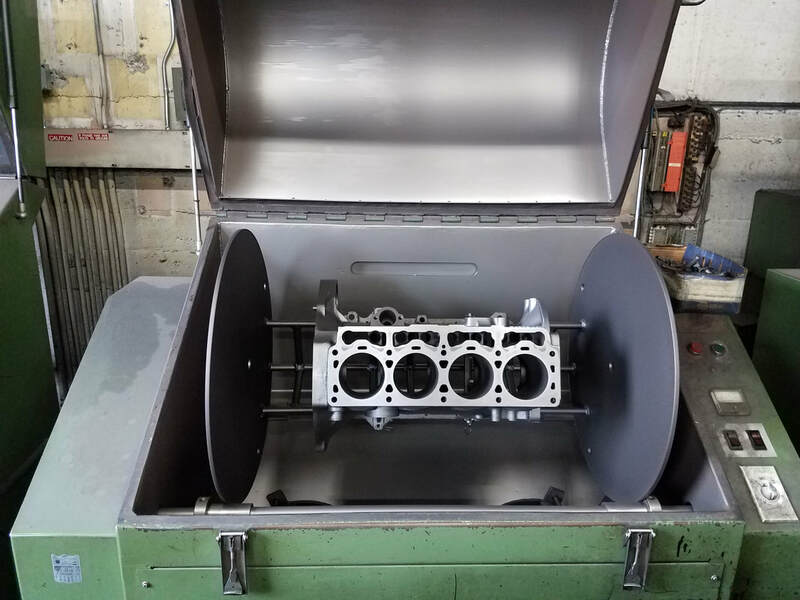 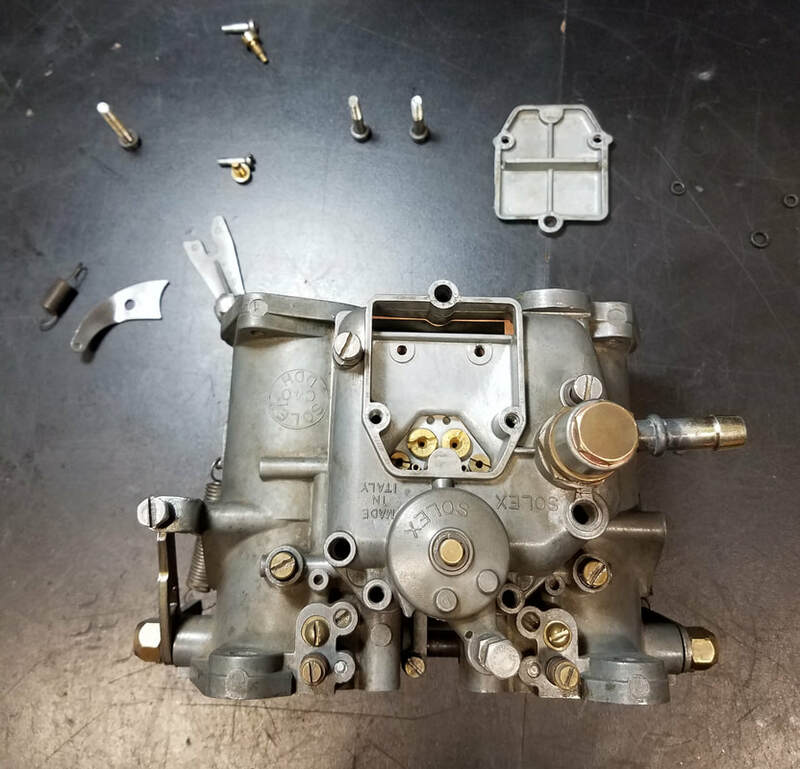 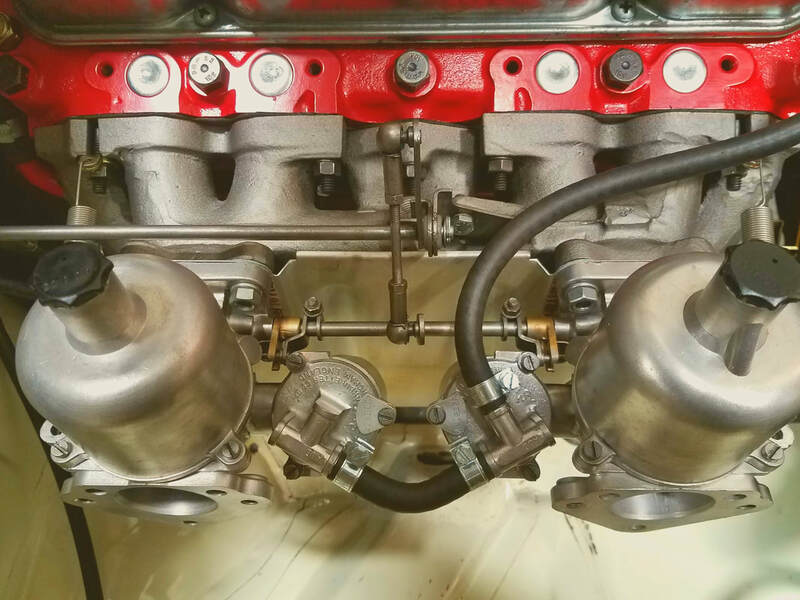 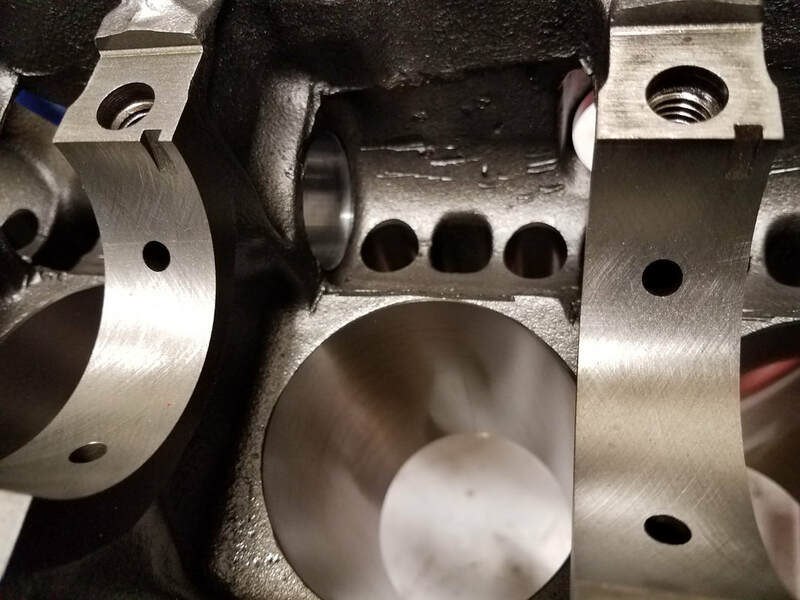 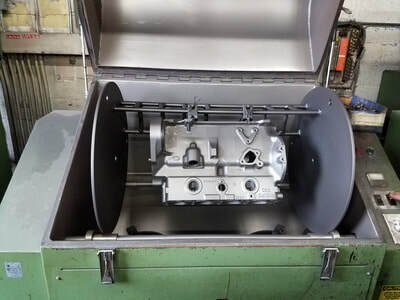 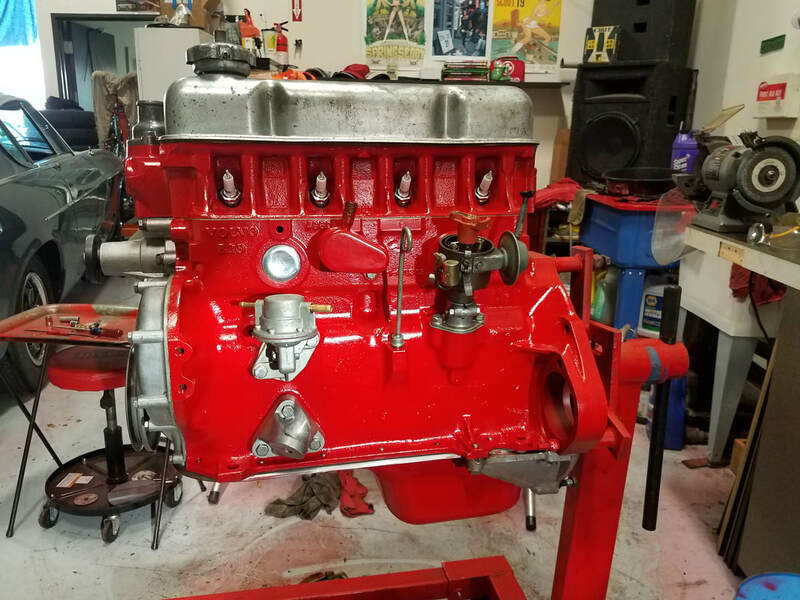 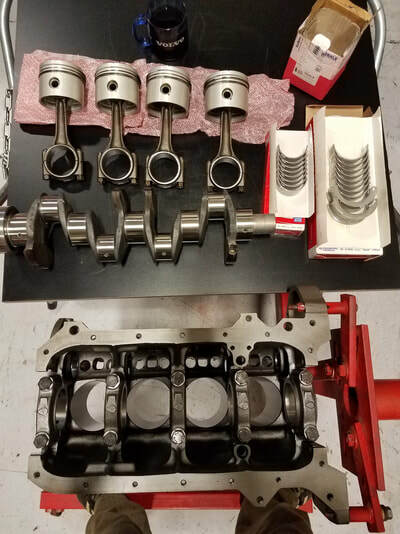 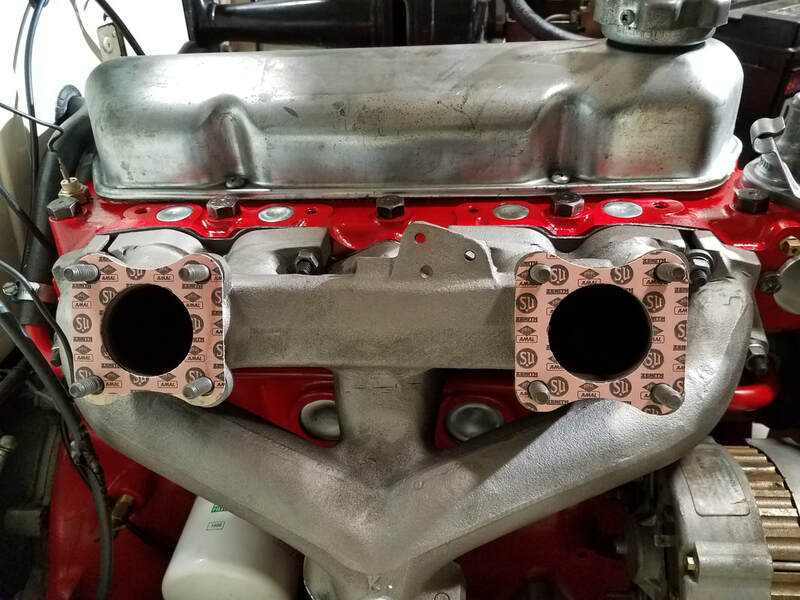 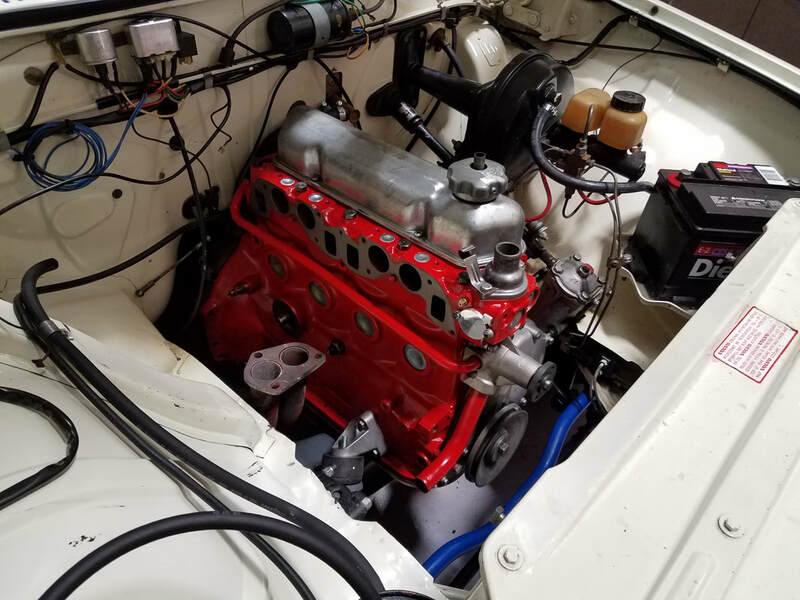 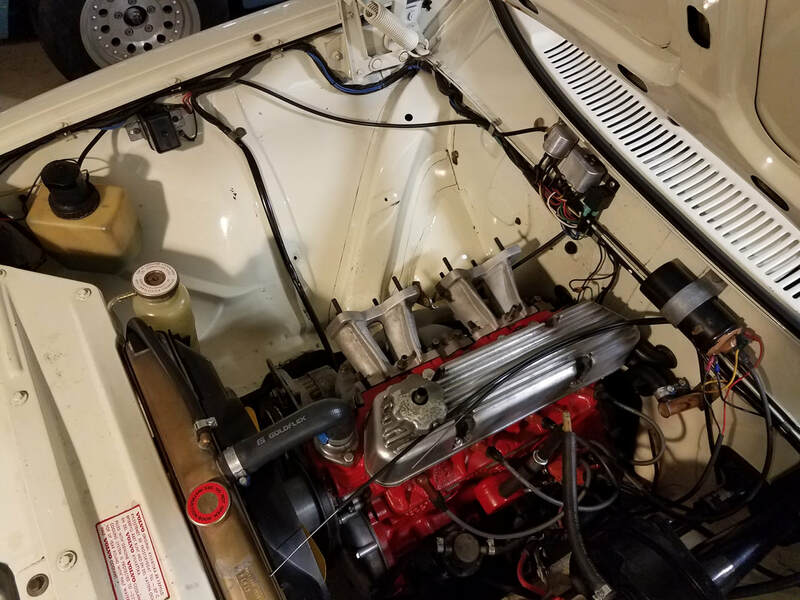 Much of the modifications took place before the car came to us - we rebuilt the engine to E specs, including a D grind cam, Melling oil pump, steel timing gears, NOS +.030" Mahle pistons, rebuilt E head with hardened seats and new valves. 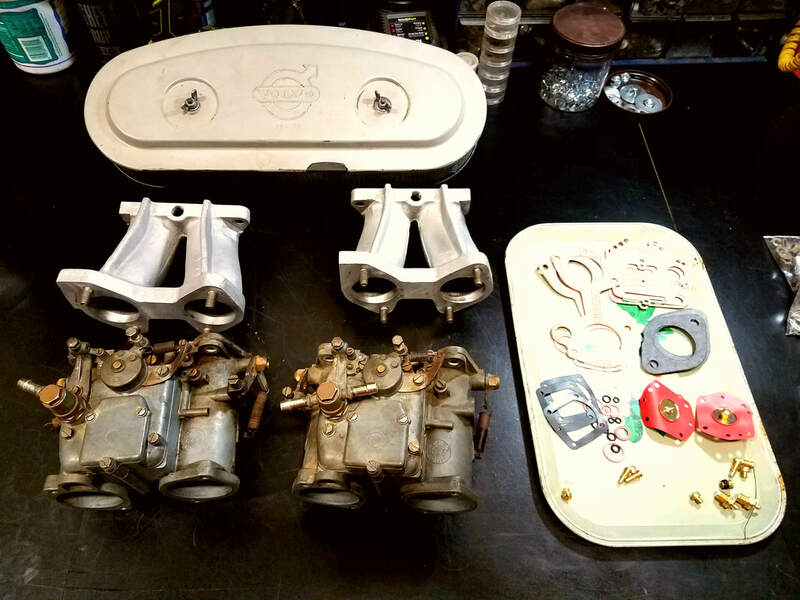 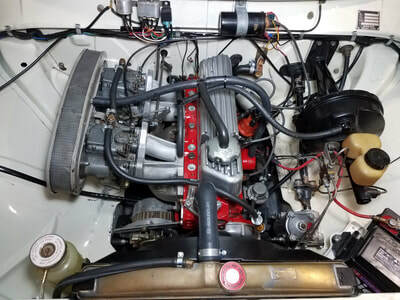 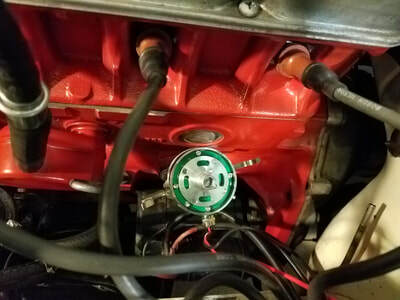 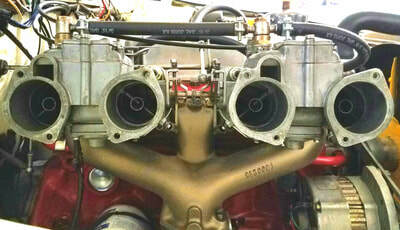 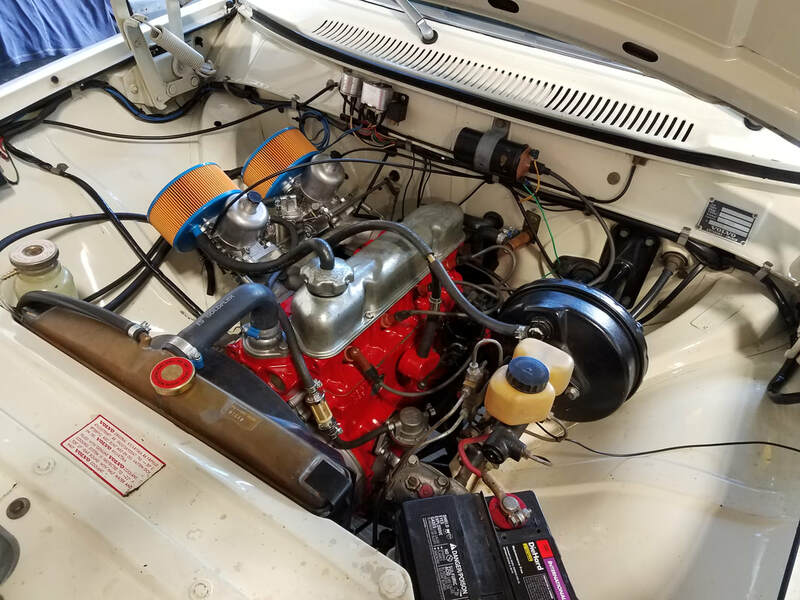 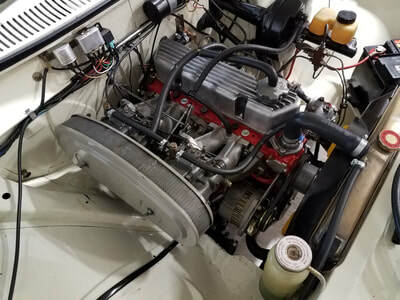 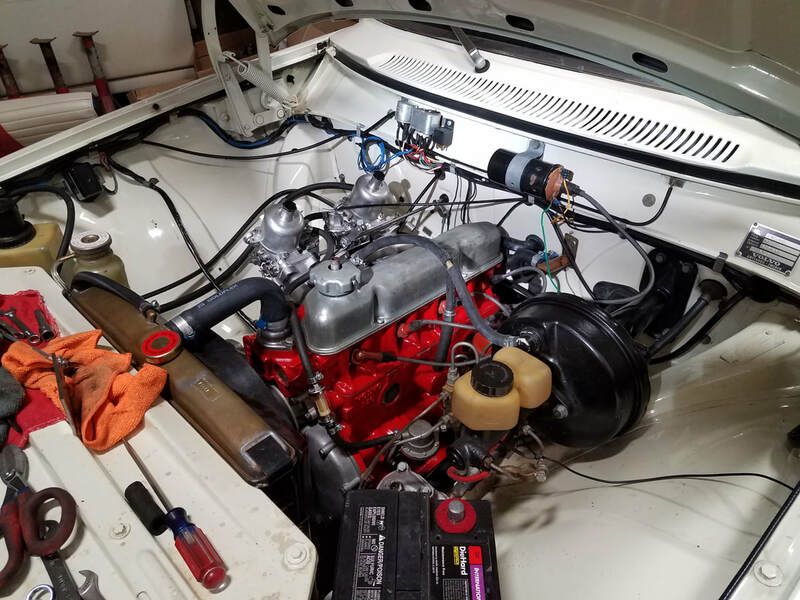 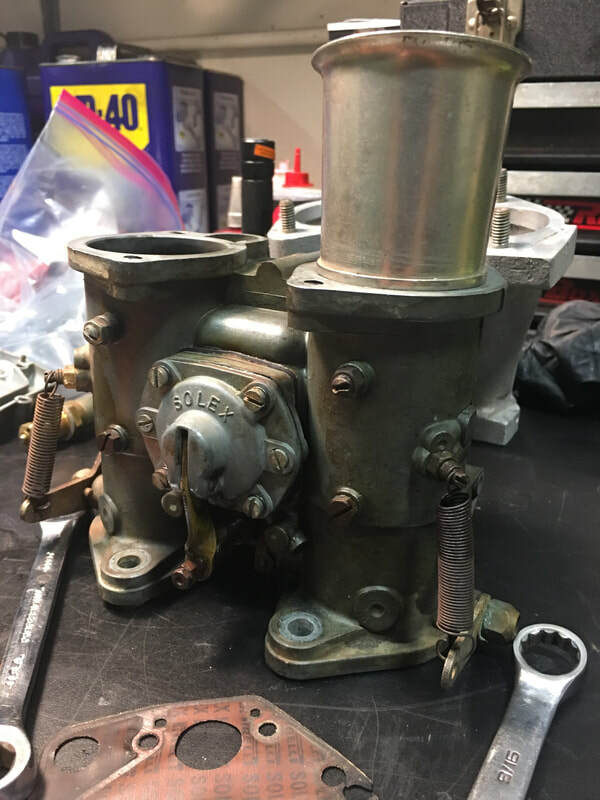 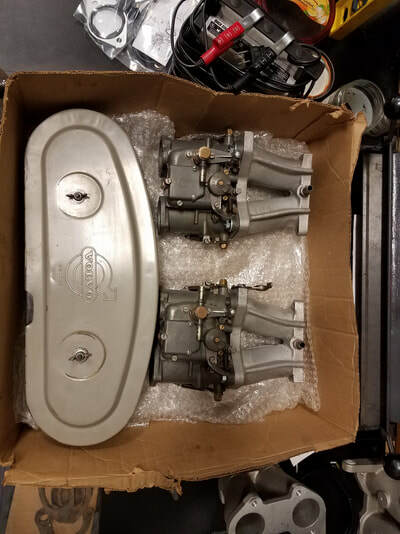 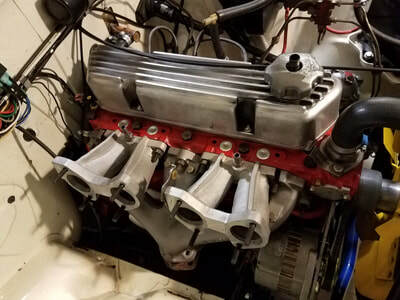 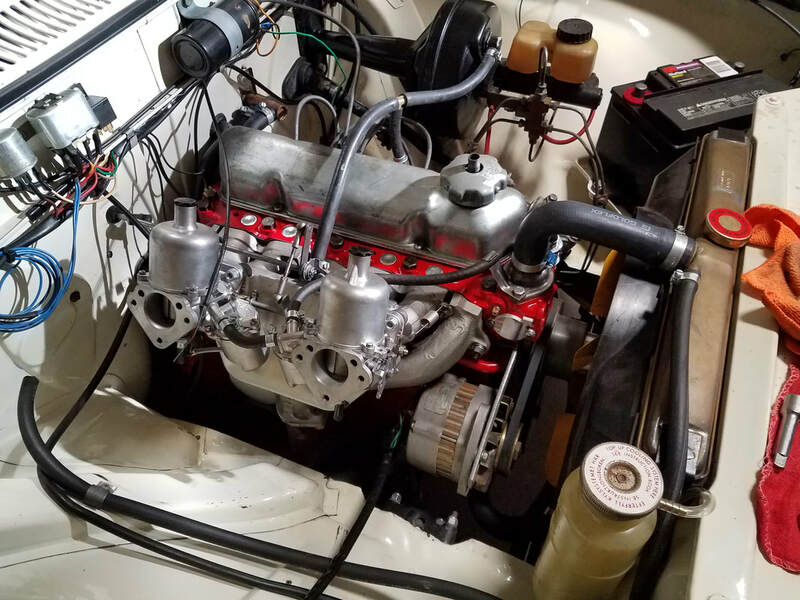 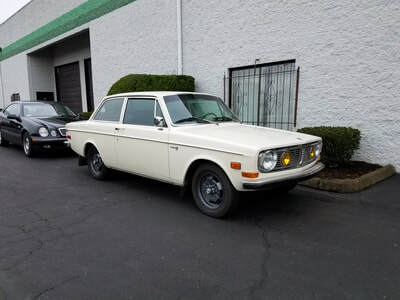 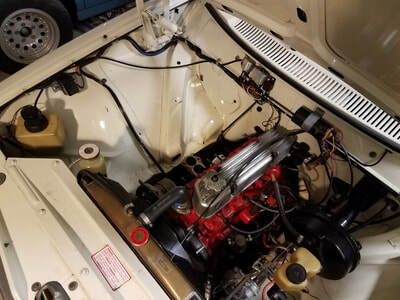 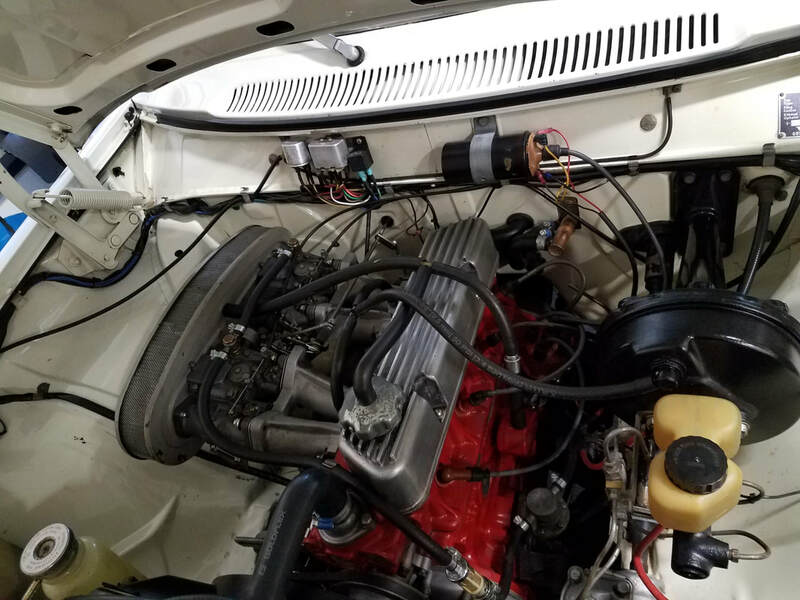 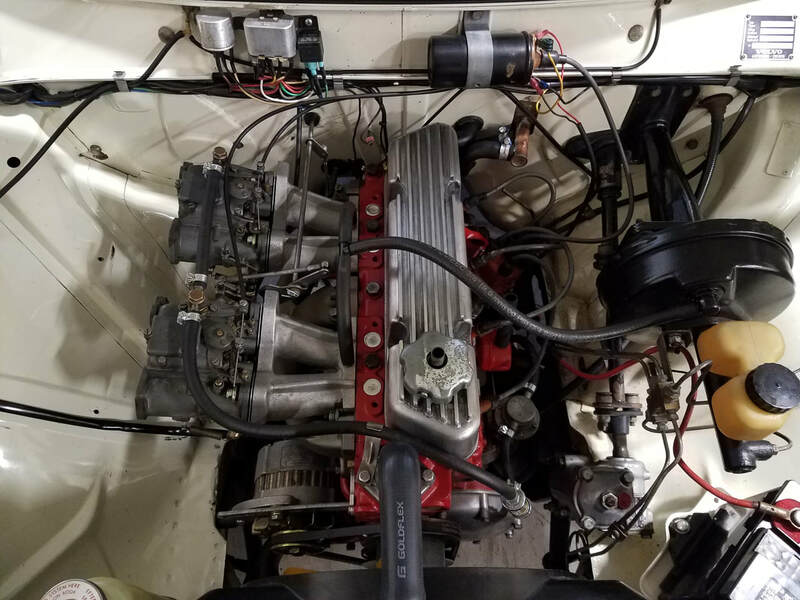 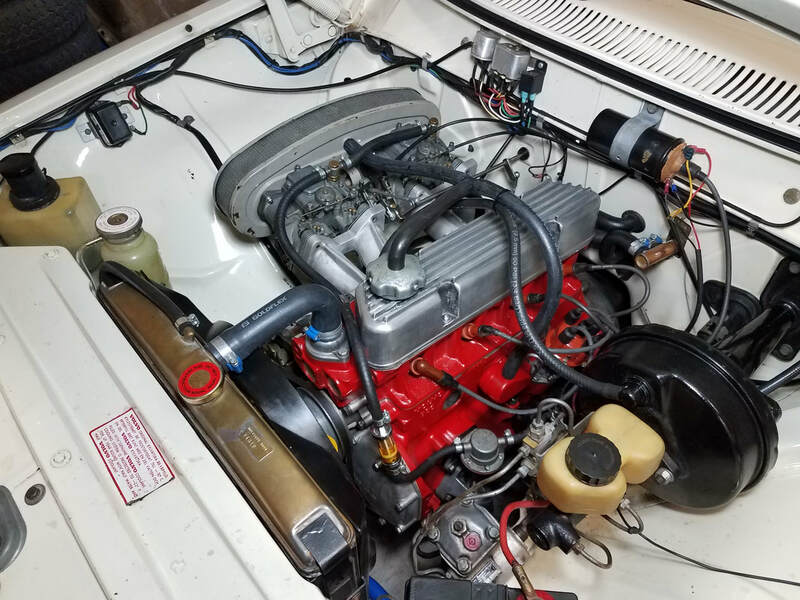 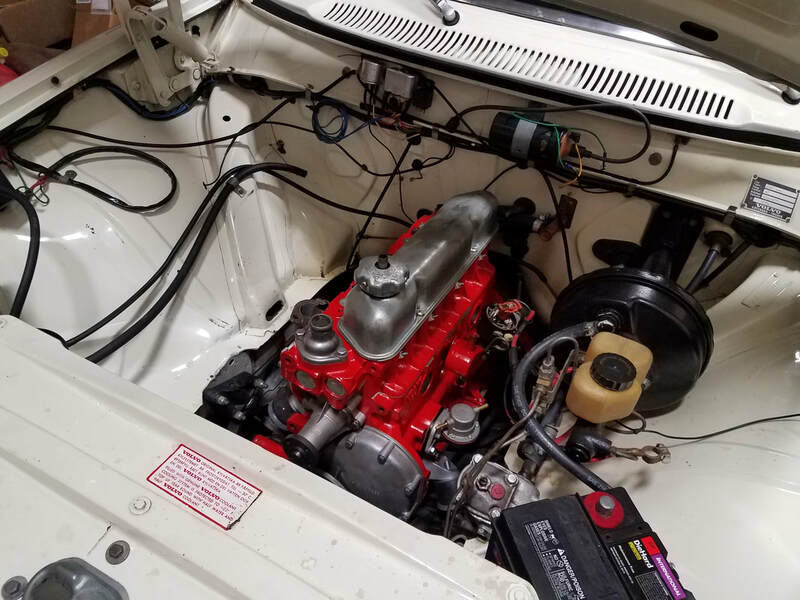 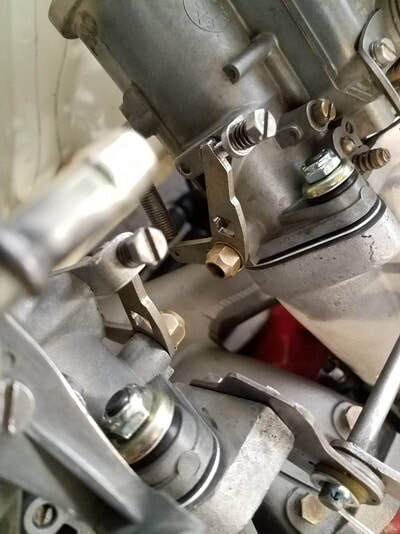 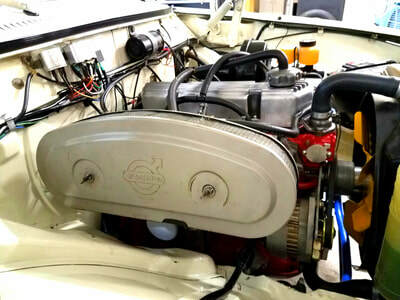 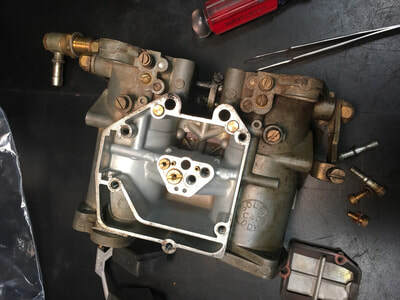 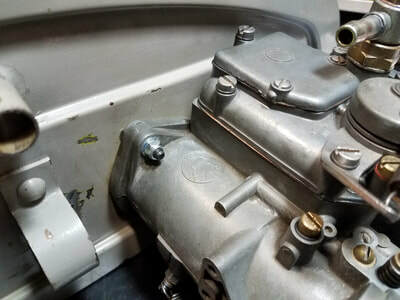 Initially, the car ran with a pair of SU HS6 carbs that had been rebuilt to an excellent standard by our friends at Island Automotion; and ignition was provided by a Bosch 007 distributor that would typically be found on a 1974 B20F. Now the engine sports a full Volvo Competition Service intake setup - proper intake manifolds, Solex carbs and correct air filter assembly. 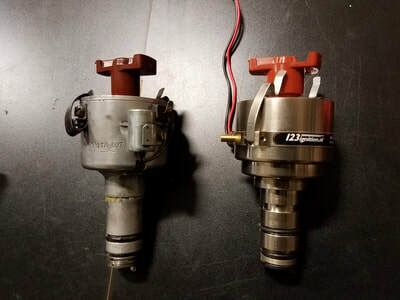 Ignition has been upgraded to a 123 ignition distributor with the 1971 E curve in use. To learn more about this car, and the owner's stunning 123GT (which we've worked on a little but did not restore) check out his blog here.